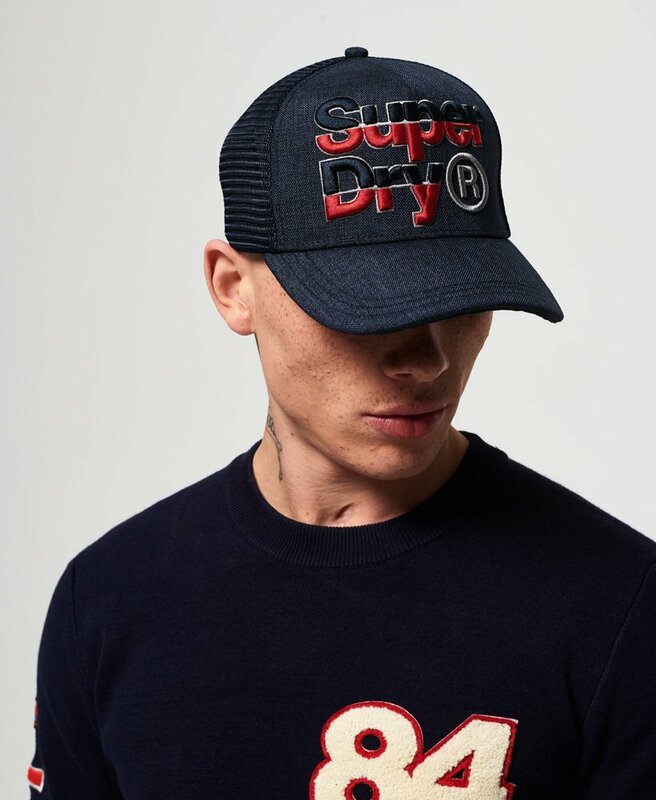 Superdry men’s mega logo cap. Add attitude to your outfit wearing this mega logo cap. It features an embroidered Superdry logo across the front, a rear snap fastening and a mesh back.